About a year ago, I took a DNA test via a company by the name of FTDNA. I did this for someone who needed help with someone on her tree and wanted to see if we (she and I) had the same DNA. When the report came back, I had over 360 matches with people I’d never heard of and didn’t know anything about. What they came up with was about 295 people on my dad’s side of the tree, the rest on my mom’s side. I’ve made contact with several people on the list. Still, I wasn’t sure about their results. Since I was searching for my mother’s relatives, I had concentrated on that side of the list, but I was really curious about the match that was listed as my closest relation on the DNA list. They had listed her as closely related as a second cousin. I thought that was odd because I thought I would have known someone that closely related. Oh yes, I was wrong. My father Manuel spelled his last name as Jaquez but I have found two different spellings for my paternal grandfather Jose Remijio Jaquez (or Jacquez). They both resided in San Acacio, Colorado as did some of my dad’s 1st cousins (Henry, Felix, Delfino, and their two sisters whose names I can’t remember right now). The only thing I know about the New Mexico connection for my dad was that he had a 1st (?) cousin in Aztec, New Mexico — I think his name was Buster Jaquez. 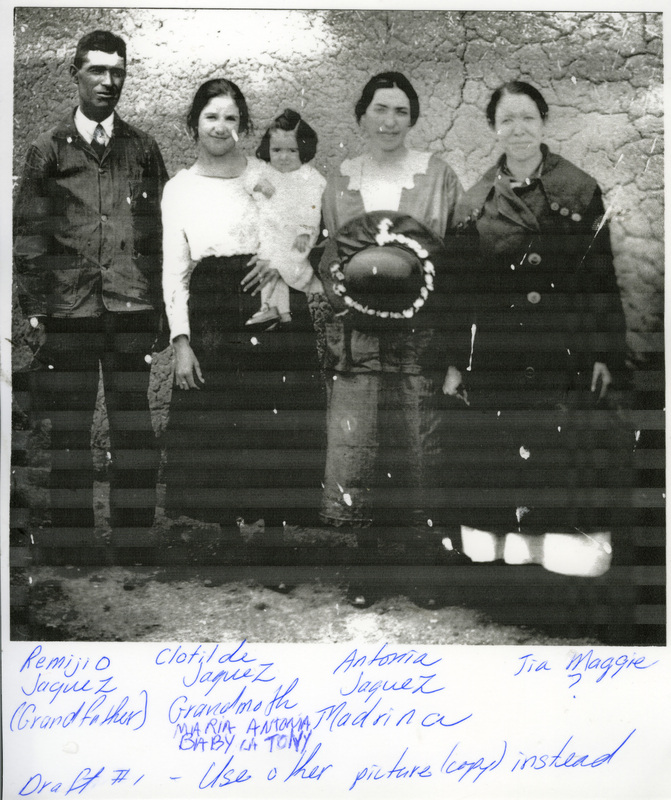 My paternal grandmother Clotilde Naranjo, was from Los Sauces, Colorado but I don’t know much about her. Does this help? Well, obviously, the only name that sounded familiar was Buster Jaquez (truly, who doesn’t know Buster?) and that was it. I hadn’t heard of anyone else’s name on the list and I knew nothing of people who were raised in Colorado. I didn’t really make any connections with the names at all and so I let it go. One of the perks of being given over 450 photographs from my cousin Tommy with only about two hundred names on those photographs, is that I have studied them copiously. I have been trying to relate the photographs to who they might belong to, and to each other. Yesterday, I was going through the photographs once again, searching for a different photograph and something caught my eye. Remijio was born on August 1, 1887 in Culebra, Colorado. His parents are Jose Eusequio Jaquez and Antonia De La Luz Ortega. Remijio and Juan Nepomuceno were half-brothers (same father, different mother). He was married to Cleotilde Naranjo and their children were Antonia Jaquez, born in 1921, Annita Jaquez, born in 1923, and Manuel Edward Jaquez born in 1925. This is the second photograph that was in the group. 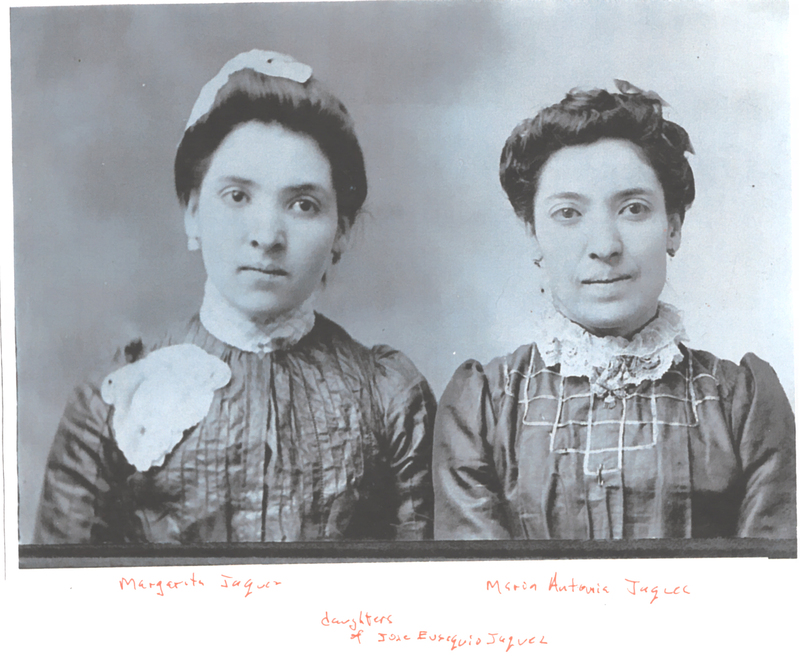 are the same two women, again Antonia and Margaret Jaquez. So, they are both Juan N.’s sisters as well. 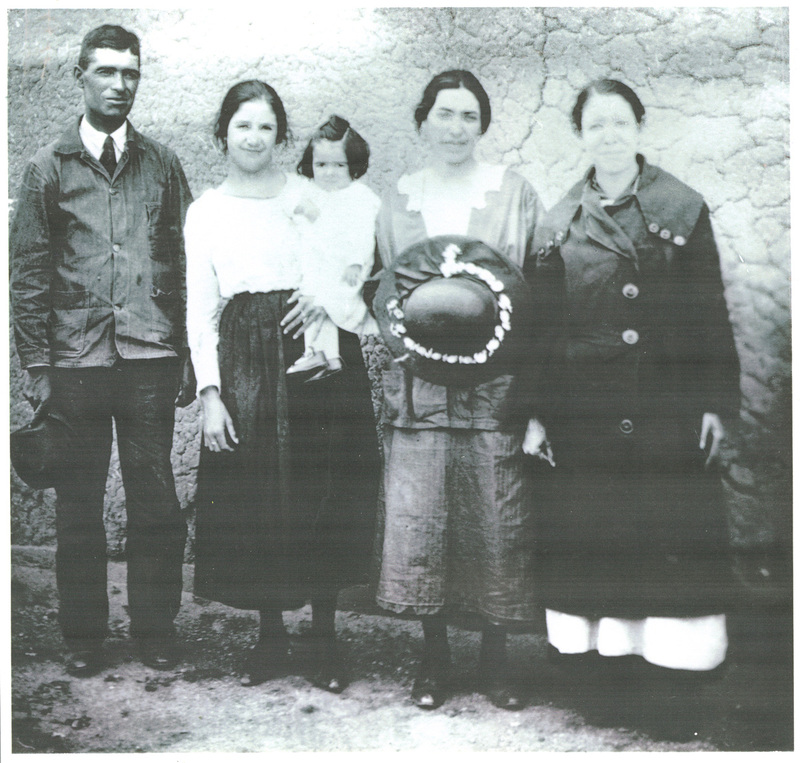 So we have a lot of photographs of the siblings of Juan Nepomuceno Jaquez, both full siblings and half siblings. 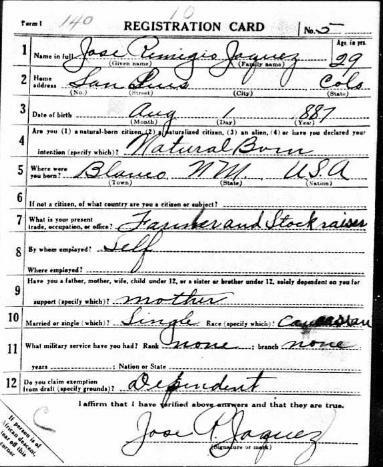 It appears Remijio was living with and supporting his mother (Antonia De La Luz Ortega-Jaquez) when he signed up for a waiver for the draft in World War 1 in 1918. It says that he was single and supporting his mother. 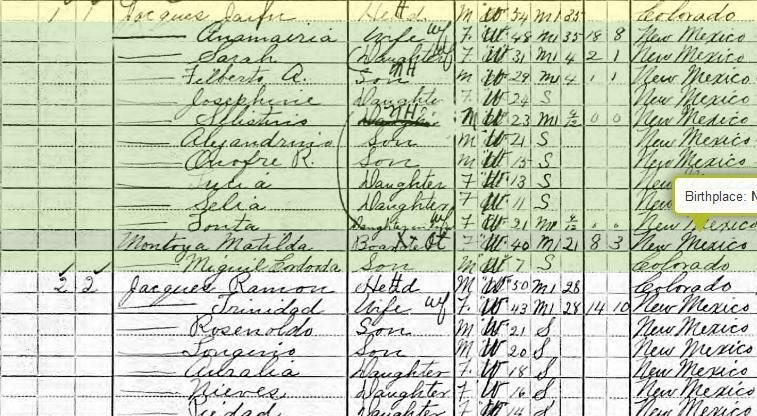 The 1930 Census shows they lived in Old San Acacio, Costilla, Colorado and that Remijio was 33 when he married Cleotilde who was 16. Since their daughter Antonia was under 1 year, I think this photograph dates to 1922-1923. So their son, Manuel Edward Jaquez is the father of Sherry Jaquez-Rossi, and Sherry Jaquez Rossi is my second cousin, 1 x removed. 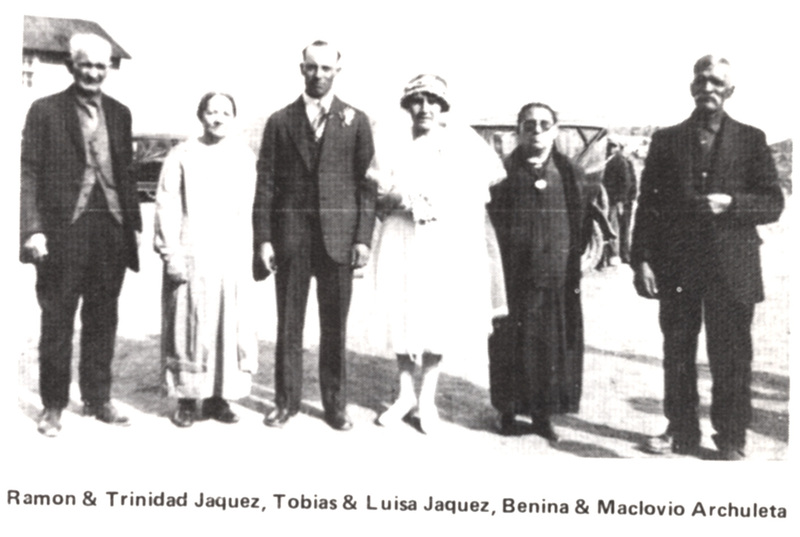 The “cousins” that she spoke of were the children of Enrique Jaquez and Maria Benigna Quitana. Their children are Delfino, Felix, Henry, Edicia, Rosa, Aurelia, and Silviana. 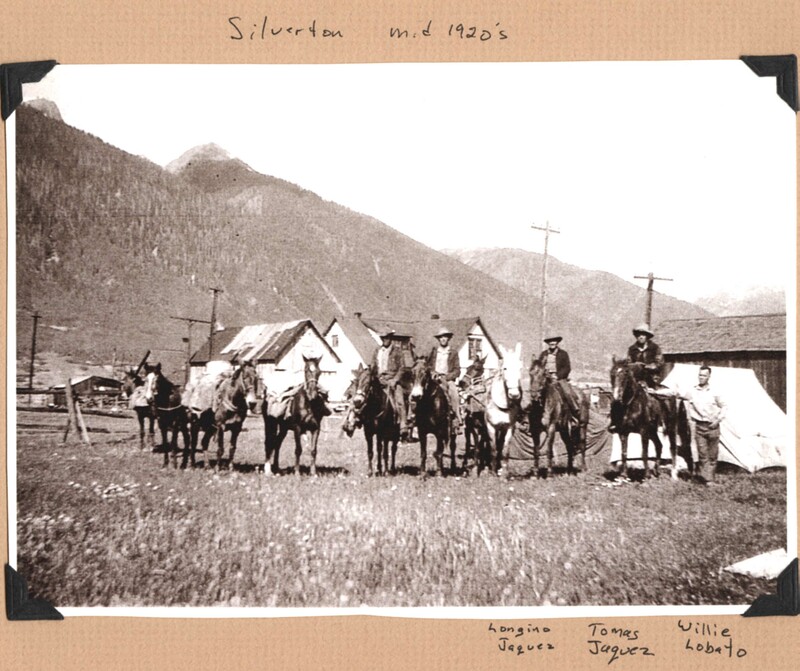 They, too, were from San Acacio, Costilla County, Colorado. 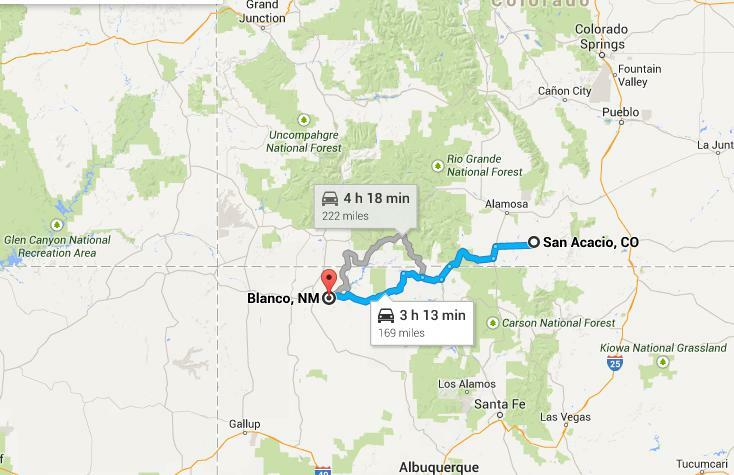 It is a 185 miles from Blanco, NM to Costilla, Colorado. 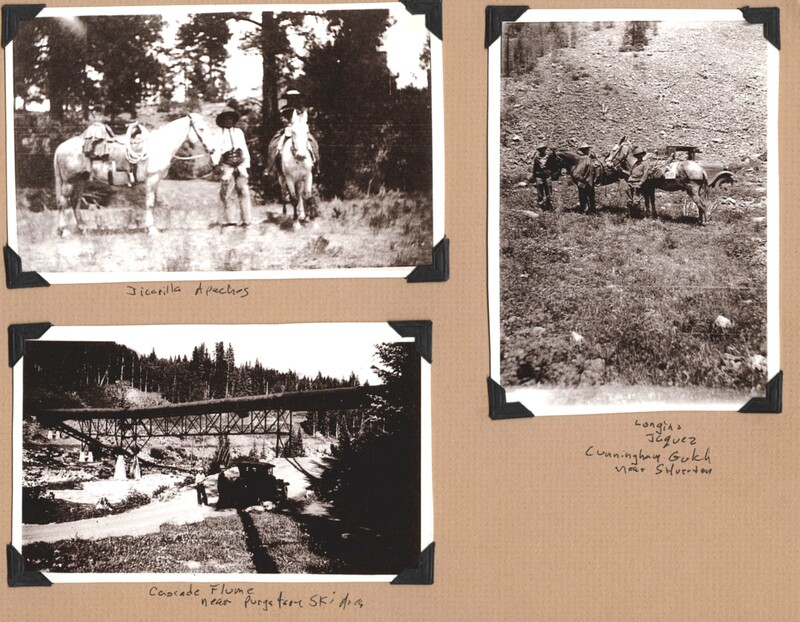 Must have been well-traveled roads for our family.